For most of us, it wouldn’t occur to drive out to a town’s airport just to eat. But then again, most towns don’t have an airport café as enjoyable as the Hangar 6 Air Cafe in Uvalde. 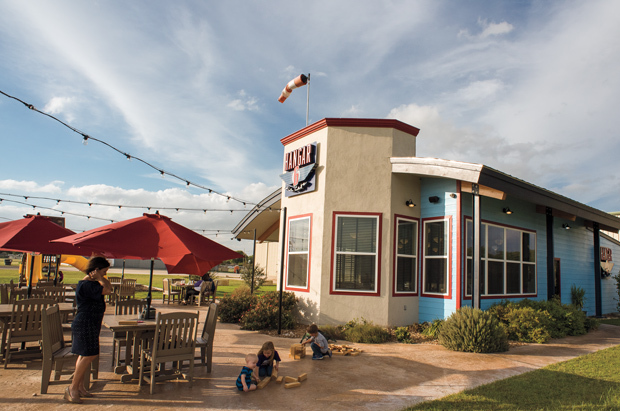 Longtime aviation veteran Mark Huffstutler and his son-in-law Eric Reyes launched Hangar 6 Air Cafe at Uvalde’s Garner Field Airport in July 2016, and the restaurant’s charm, nostalgia, and “just plane good” food attract pilots and drivers from near and far. 249 Airport Blvd. in Uvalde. 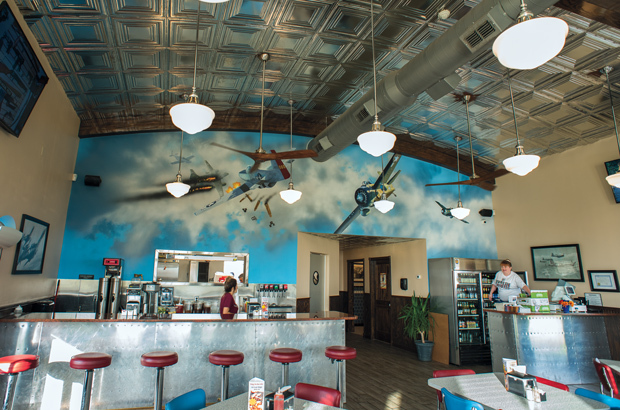 Pilots enjoy flying in for Hangar 6’s version of the so-called “$100 hamburger.” Burgers don’t actually cost a C-note, but come free to pilots who purchase $100 of airplane fuel at the Uvalde Flight Center gas station. It’s a new twist on a time-honored practice among pilots, some of whom will fly across the state for lunch just for the sheer joy of it. Today’s fuel prices could very well mean a $100 burger. But pilots are not the café’s only clientele. On the day I arrive for lunch, the café bustles with a diverse crowd: students from the adjacent Southwest Texas Junior College, staffers from the nearby Uvalde Memorial Hospital, area ranchers and townsfolk, Garner Field aviation employees, jet and helicopter pilots, and at least two road warriors, counting my husband and myself. “I had the concept for 10 years,” says Huffstutler, a Uvalde resident for more than 40 years. “My goal is to bring big-city amenities to the small town of Uvalde.” In 2015, as he laid the foundation for a restaurant that would honor the history of Garner Field’s Hangar 6, he got his feet wet with a Main Street coffee shop called The Local Fix, which offers espresso drinks, juices, and simple breakfast, lunch, and dinner fare. He soon offered Reyes the job of running the coffee shop and the nascent restaurant he envisioned for Garner Field. These days, Reyes has both businesses flying high. As soon as I enter the Hangar 6 Air Cafe, I see the homage paid to Garner’s World War II warbirds in the form of a hand-painted mural encompassing the entire back wall: an eye-popping, stunning depiction of a WWII dogfight, commissioned from artist Nicola Vigini of San Antonio. Vigini’s mural presides over a sleek stainless steel counter area with red-topped stools and an open, retro-styled dining area. Light pours through tall windows on three sides with a big bay window directly facing the runway—perfect for watching planes arrive and depart. In addition to corporate jets, helicopters, and twin- and single- engine aircraft, vintage aircraft frequent Garner Field, too. It’s also a popular airfield for soaring pilots and has hosted both the World Gliding Championships and the National Gliding Championships. The menu’s hamburgers, to my delight, are all named for vintage planes. The six beef burgers (and one turkey burger) present a diner’s dilemma, as they all sound tempting. But having flown only one of the airplanes on the list, I opt for a burger named for a sentimental favorite, the “T6 Texan”—a burger trimmed out Texas-style with cheese, avocado, pico de gallo, tomato, pickles, lettuce, and a sprinkling of crisp corn tortilla strips. My husband picks the “P51 Mustang,” which comes with bacon, grilled mushrooms, cheddar cheese, red onion, lettuce, and tomato. All beef burgers are built on a base of 8 ounces of certified Angus beef in pillowy sourdough brioche buns. At first bite, as the snap of crisp lettuce, tortilla chips, and pickle yields to creamy avocado, cheese, and savory meat juices, I know it’s among the best burgers I’ve ever sunk my teeth into. While the burgers undoubtedly rank as the lunchtime favorite, other items—such as the crispy chicken-fried steak with bacon-jalapeño gravy; the “Cuban Missile” sandwich with sliced ham, pulled pork, mustard, and pickles; and a host of other hot plates, sandwiches, and salads—beg a return visit. As does the breakfast menu, should you find yourself nearby and in need of some rib-stickin’ victuals early in the day. 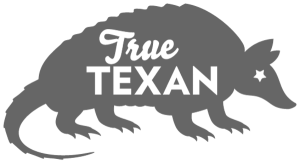 Hangar 6 Air Cafe has no shortage of special events to keep diners coming back: Saturdays usually bring pilot buddies flying in from various points, and Sundays feature a brunch buffet with plentiful mimosas. Garner Field takes its name from Uvalde native John Nance Garner, who served as Franklin D. Roosevelt’s vice president from 1933 through 1941 and is oft-remembered for declaring something along the lines of “the vice-presidency isn’t worth a bucket of warm spit.” In 1941, Hangar Six Flight School, which had originally operated out of the sixth hangar at San Antonio’s Winburn Field, won a pilot-training contract from the Army and relocated to Uvalde, where it could expand its operations. Here, Hangar Six became one of the Army Air Corps’ most renowned and pro-lific training bases, training thousands of pilots for WWII during its four years of operation, with its pilots logging up to 861,000 training flights out of Garner Field. 201 Sul Ross Drive in Uvalde. And although the magnificent young pilots of yesteryear have long since departed Uvalde’s sunny skies, their fabulous flying machines—well, a few of ’em, anyway—remain, both at the adjacent Aviation Museum at Garner Field and in Huff Air Hangar, where the Huffstutlers maintain a P51 Mustang, a T6 Texan, a T28 Trojan, and an FM2 Wildcat, among others. Visitors can arrange to see the hangar by contacting the curator at the museum, Leroy Walther. After lunch, we visit the hangar, and I pause to place my hand on the gleaming fuselage of the mighty and muscular radial engine-powered T6 Texan, reminiscing about the time a few decades ago when I flew a T6 Texan painted with a shark face as part of a Pearl Harbor re-enactment. Next, my husband and I take a tour of the Aviation Museum at Garner Field, a small but fascinating collec-tion of vintage aircraft including a Fairchild PT-19 cadet training plane and a Stearman PT-17 biplane. Strolling among the artifacts and WWII memorabilia, including a fur-lined aviator’s uniform and a fetching Women Airforce Service Pilot (WASP) leather flight jacket, a wave of appreciation engulfs me—not only for the brave men and women of aviation days past, but for men such as Huffstutler, Reyes, and Walther, who preserve and showcase this fascinating era of Texas lore.